Few days back we reviewed a free online website that allows you to convert PDF files to Word. 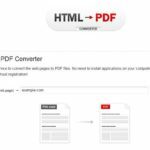 Yet another website that offers you similar features is PDFConverter.com. 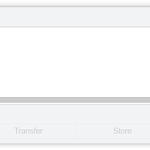 PDF Converter goes one step beyond and even lets you create PDF files. If you are constantly creating and editing PDFs, especially if you are a business user, then investing in a good PDF software is always a good idea. PDF Converter gives you one such powerful software. PDF Converter Elite (PCE 3) is a premium and powerful software for creating, editing and converting PDF documents to MS Word, Excel, PowerPoint, Publisher, HTML and more. 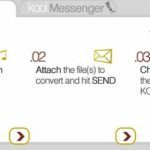 It allows users to create PDF files that are are 100% compatible and can easily be opened and viewed with popular PDF readers such as Adobe Reader, Sumatra or Slim PDF Reader. PCE 3 retails at just under $100, but you can get good discounts if you purchase multiple licenses for your businesses. 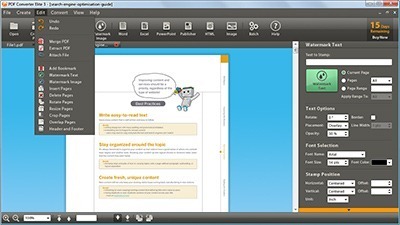 Do you use a paid or free PDF editor? What software do you use for this? Or, are you already a user of PCE? If so, what has your experience been so far.